The mysterious object was spotted several years ago by a NASA probe, and to this day nobody is quite sure what it is or how it got there. Some computations suggest about 250 parts per million – or even more – of the unconsolidated rock debris on Phobos’s surface came from Mars. 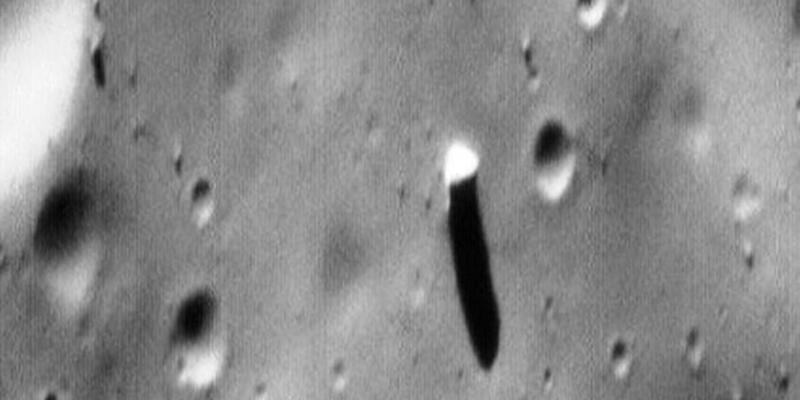 Alternatively, the Phobos monolith might not have formed during an impact. It could be a rare chunk of the moon’s solid bedrock, poking up through a surface that is otherwise mostly strewn with loose debris. Both are small and irregular in shape, which makes them look a little like asteroids that fell into Mars’s gravitational clutches long ago. But the moons orbit Mars in a way that is incompatible with this “snatched asteroid” idea. A similar sort of collision is thought to be behind the creation of Earth’s Moon. But our Moon is large, and Phobos and Deimos are tiny. A massive impact should have given Mars a much larger satellite.